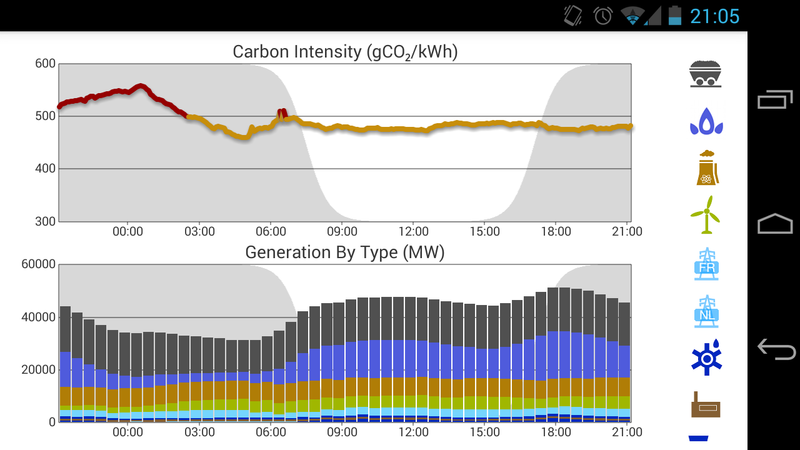 I'm very happy to announce the release of an update to the GridCarbon Android app. 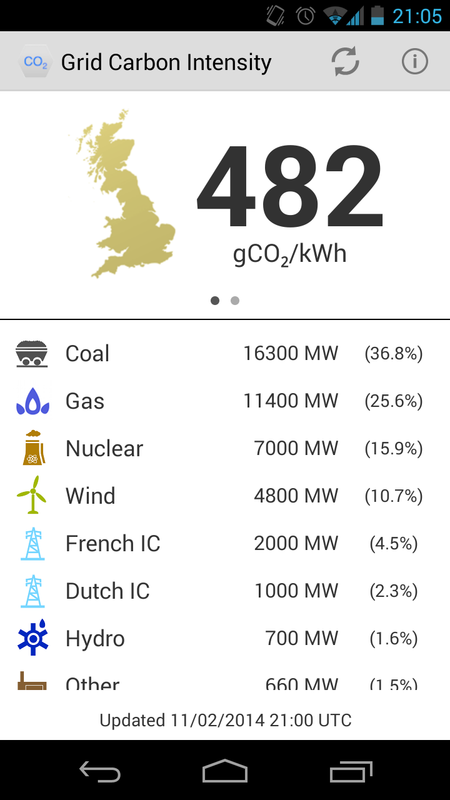 The app allows you to track the carbon intensity of the UK electricity grid on your phone or tablet. The demand for electricity in the UK varies throughout the day, and thus, the mix of generators supplying this electricity continually changes. As a result, the carbon intensity of the electricity – the quantity of CO2 produced for 1 kWh of electricity consumed – also varies continually. Deferring your use of electricity to off-peak times, when the carbon intensity is low, can help reduce your carbon footprint. There is also an iOS version of GridCarbon which shares the same functionality as the Android app.